Legrand has announced the arrival of its LIION Emergency Lighting range with luminaires that come with the latest Lithium-ion battery technology, known as Lithium Ion Phosphate (LiFePO4). LiFePO4 batteries are environmentally friendly and do not contain heavy toxic metals. They also don’t require frequent charging as they can hold their charge over long periods, resulting in reduced energy consumption. The LIION technology has raised the bar when it comes to emergency lighting battery technology, with an operational lifespan of up to 10 years and an integrated iSmartTM temperature sensing technology to ensure the battery remains within a safe charging temperature. The LIION range also features on-board Protection Circuit Module (PCM), which will protect the battery pack from over-charging and over-discharging, and is backed with a five year warranty. 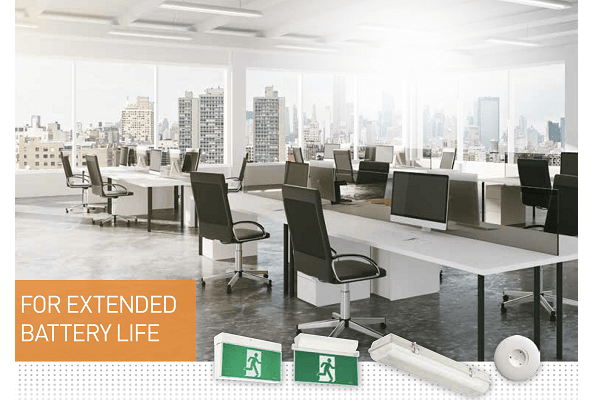 Designed and manufactured in Australia to meet Australian and New Zealand standards for Emergency escape lighting, Legrand’s LIION Emergency Lighting range is extra safe, ultra green and super reliable.